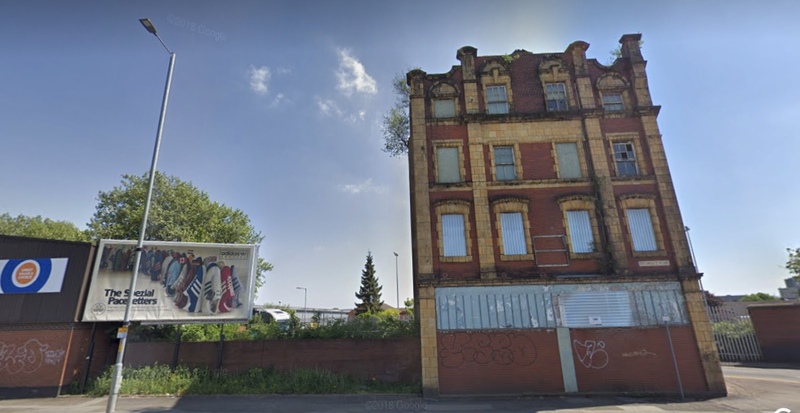 The property is very well located along the A664 Rochdale Road at its junction with Suddell Street in the Collyhurst district of Manchester city centre. 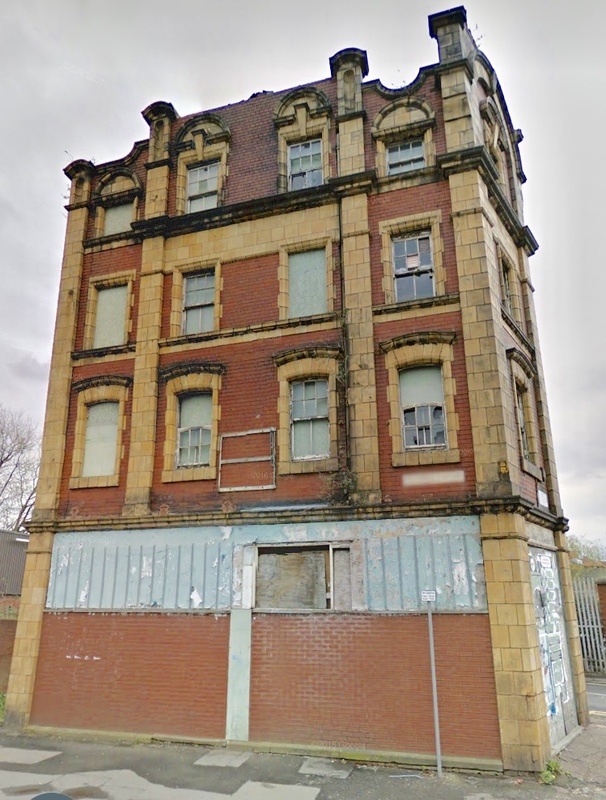 Located just a short walk from Victoria Station, Manchester Arena, the Northern Quarter, The Triangle and the main city centre the property is very well placed to suit a number of potential users (subject to consent). The property is a detached four storey commercial building together with some car parking at the rear It is an attractive late Victorian/early Georgian period commercial unit with upper floors nd basement. The building is of principally brick construction with timber boarded floors and an attractive façade to Rochdale Road of finishing and glazed brick panels reminiscent of a typical Victorian/semi Flemish design. The property has accommodation over ground and three upper floors together with a basement. In addition there is a secured car park at the rear accessed off Suddell Street. There is also an advertising hoarding on site with fuller details of that on application. 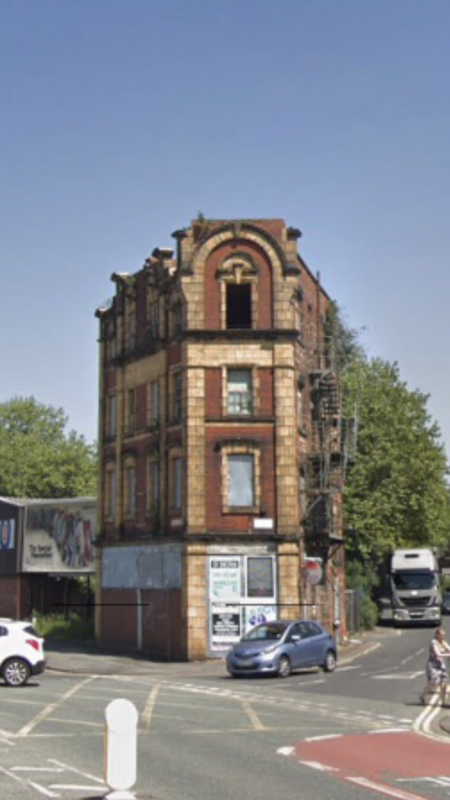 The building has not been occupied for a number of years and now presents itself as an interesting redevelopment/refurbishment opportunity, subject to appropriate consents. An inspection is thoroughly recommended and the extent of the property is shown on the Promap image at Location below. The gross floor area extends to 3,500 sq ft in total with the accommodation arranged equally over each floor level. 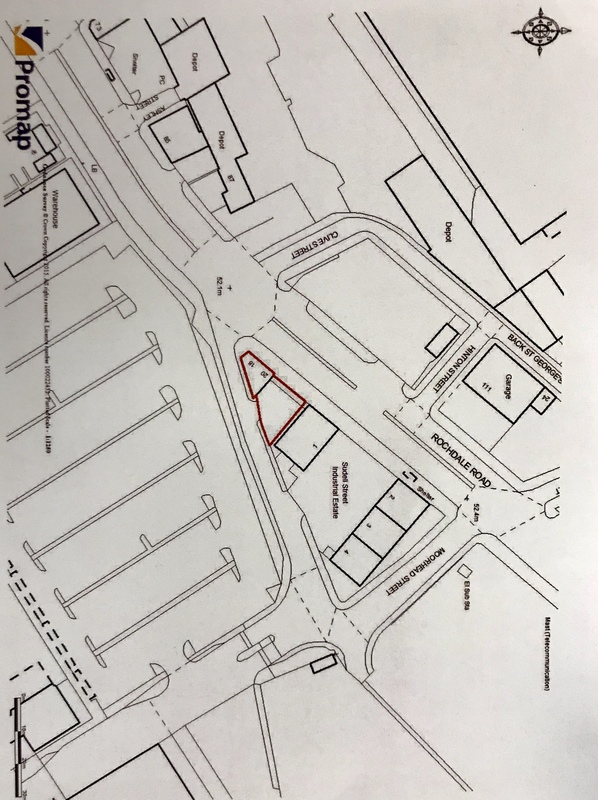 The property was previously in use for commercial purposes but is considered to have redevelopment/refurbishment and/or alternative use potential; subject to appropriate consents. All interested parties are to rely on their own enquiries in this regard. The property is offered For Sale at offers in excess of £550,000.